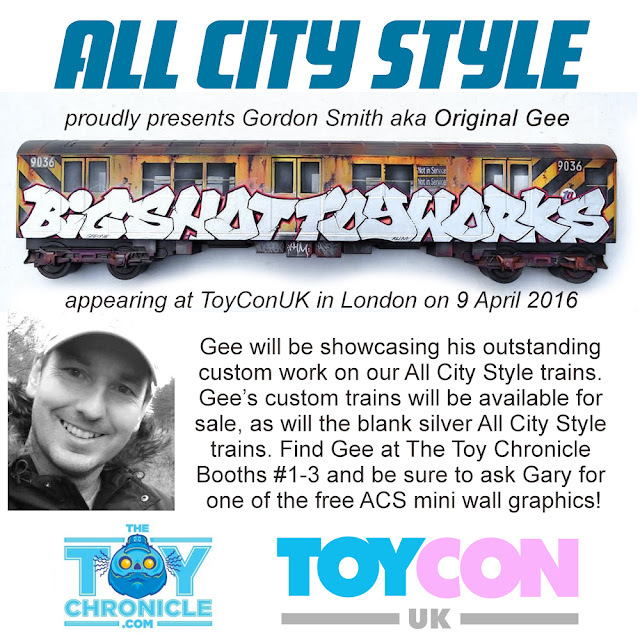 All City Style (winner of Best DIY platform in last year's Designer Toy Awards) has announced that Gordon Smith, aka Original Gee, will be representing ACS at ToyCon UK. Gee will be at The Toy Chronicle booth (#1-3) at the April 9th show in London, showcasing his superb, hyper realistic graffiti-covered ACS trains. Gee will be painting ACS trains live, selling his completed pieces, and attendees will also be able to pick up blank ACS trains at the booth. 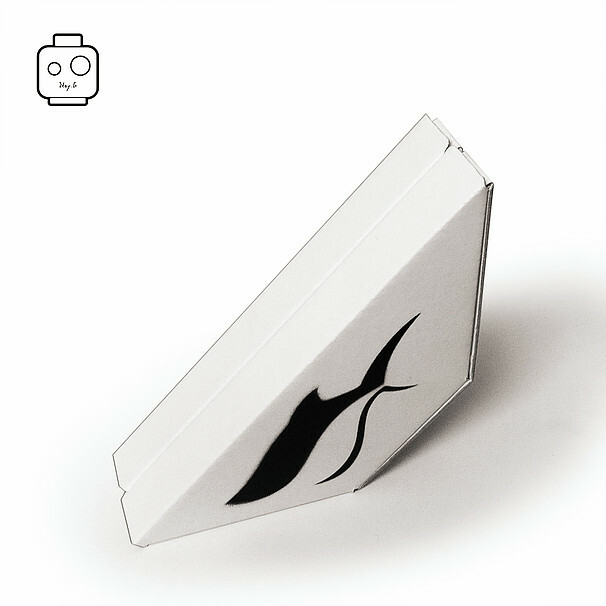 Get there early to grab a free mini ACS wall graphic! Full blog post here on the ACS site, including more info about Gee. 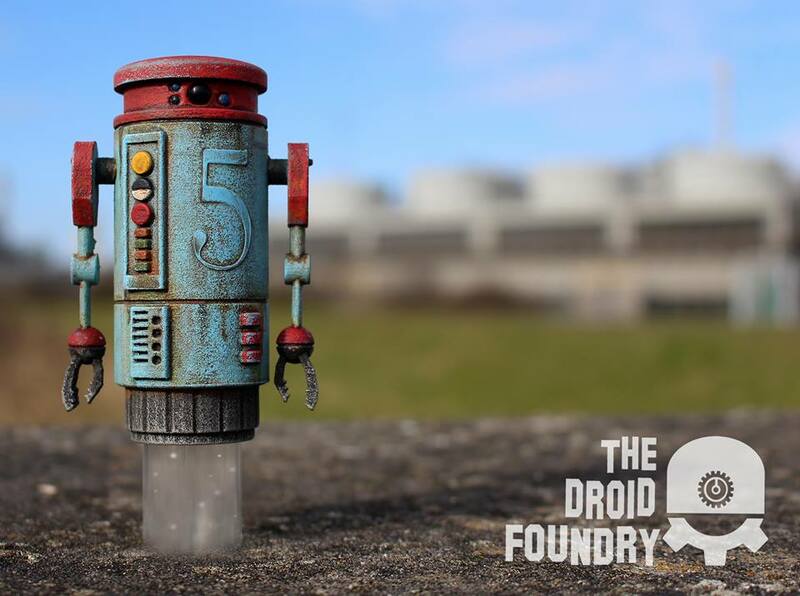 In just 5 days you will find Taylored Curiosities and Lisa Rae Hansen at booth #25 of ToyCon UK (York Hall, Bethnal Green, London). The day is creeping up on us and Taylored Curiosities has organized a special, mini custom show for their half of the booth. 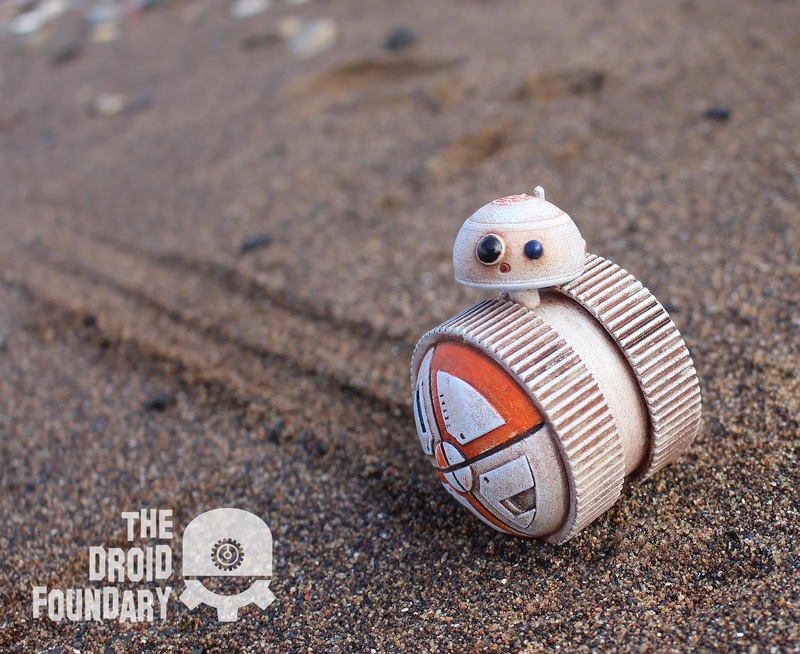 Artists Mark Nagata, Carissa Swenson/Goblin Fruit Studios, Yosiell Lorenzo, Emi Slade, Dok A, Kiboochan, Hints and Spices and Evan Morgan are a few of the artists who have created custom bean sets for the show. Each has put their own style in to play and created some truly beautiful work. 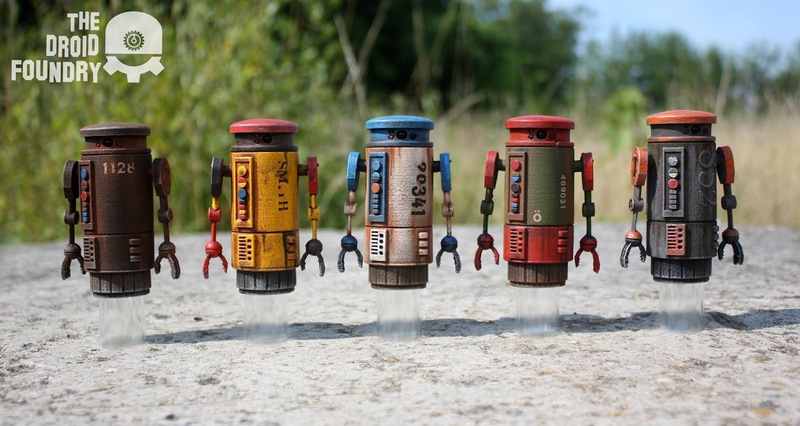 Lisa has also created a ToyCon themed custom bean and there are other artists who are bringing their work to the show; Sergey Safonov, Run DMB and Okkle. 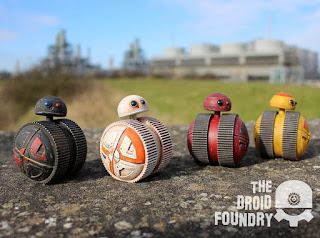 Each piece is uniqely creative and all of the sets will be available to purchase from their booth on the first day of TyCon UK (on a first come, first served basis). All items are individually priced by the artists. Taylored Curiosities will be posting photos of the show and set up on the day and sharing on their instagram and twitter (@tayloredcurios). Fugi.me is going to have some amazing figures at ToyConUK 2016 by RYCA. 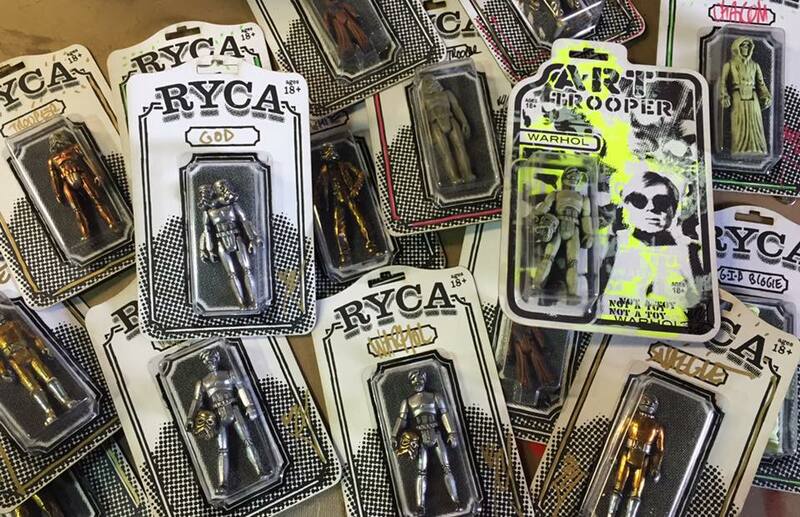 Ryca is going to be hand delivering these carded figures, which will be available on Saturday, April 9th. 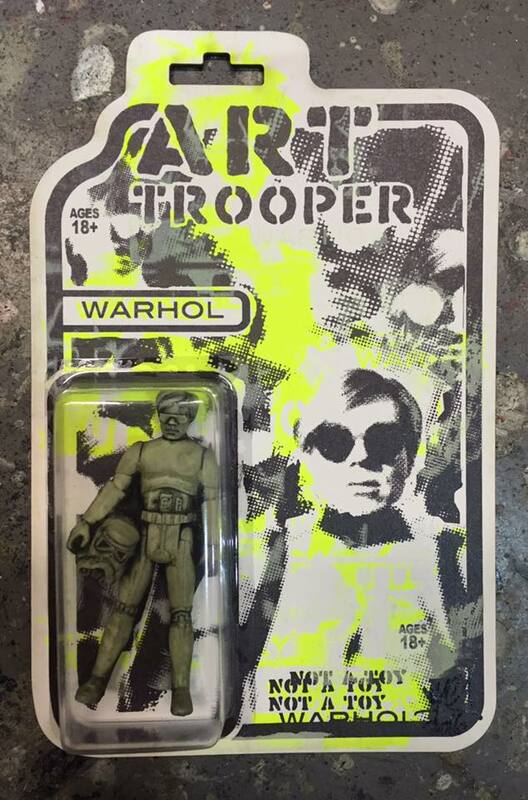 Glow in the Dark Art Trooper Warhol is limited to just 50 pieces and is priced at £50 a piece. 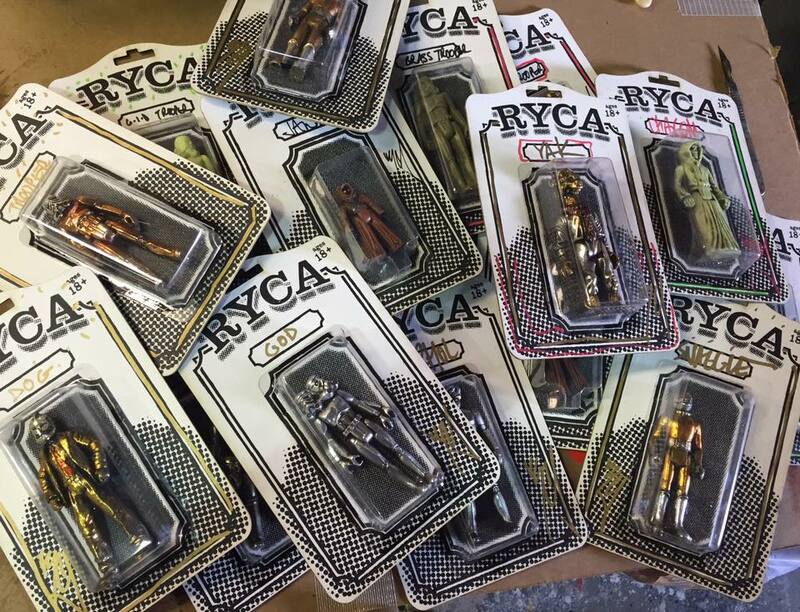 Ryca will also be delivering a batch of carded figures which vary and will be priced at £30 a piece. Each figure features a screen printed backer card, in a blister pack. 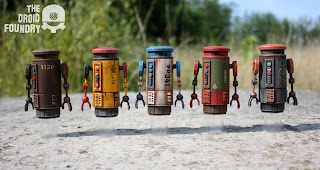 Any left over figures will be available for purchase online through Fugi.me. This year is election year in the United States, where a bunch of old people people will determine who will be the next figure head for the "free" country. 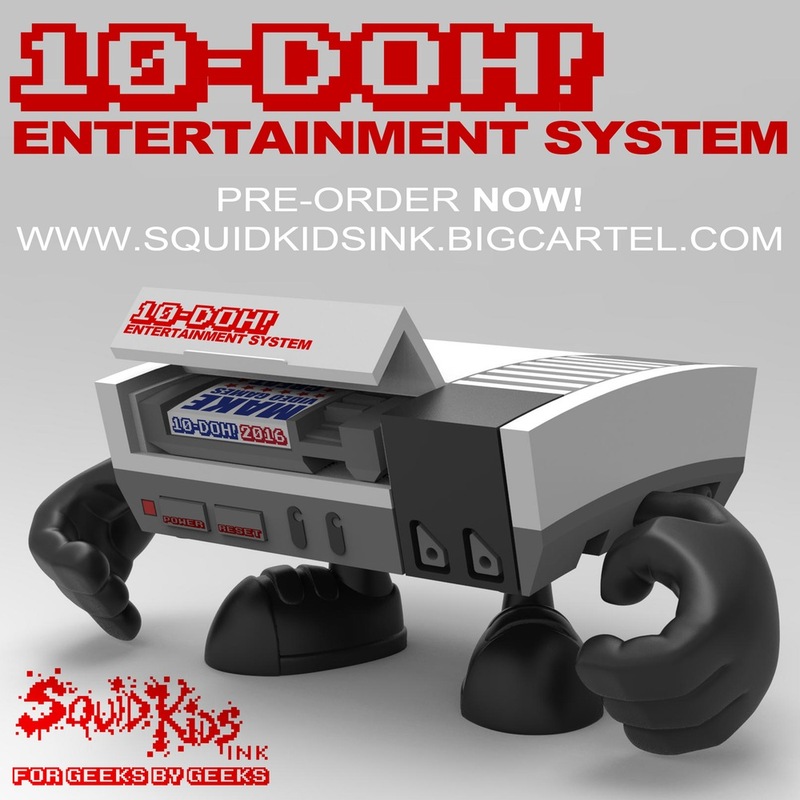 Squid Kids Ink decided to create a Mini 10-DOH! that's sort of relevant, titled "VOTE 10-DOH!". 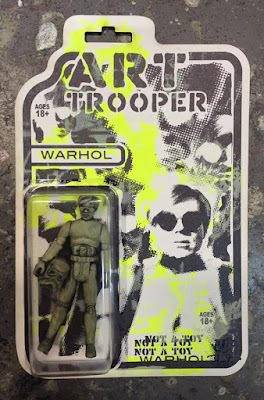 Priced at $20 plus shipping, this limited edition figure comes complete with an appropriate sign. Available for purchase until November 8th, election day, each purchased figure will be made to order, so edition size will really depend on how many of these get purchased in the next few months. 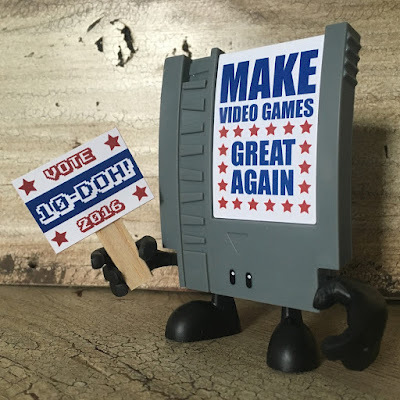 Head on over to Squid Kids Ink's online store and pick up one of these figures, a perfect place to stick the "I Voted" sticker received in November. While browsing the store, check out the awesome (albeit sad because it's "fake") 10-DOH! Entertainment system. Posted on April Fools day, the 10-Doh Entertainment system made a lot of people upset when they realized that the product was, in fact, not being released(yet?). Who knows, this figure may get produced if enough people convince Nate that it should be made, but as with lots of art, money helps things get made not words. 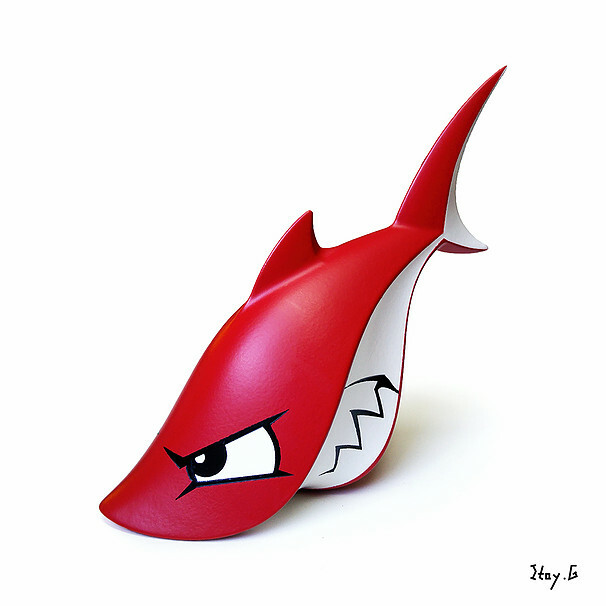 Crazy Sharks - Red by Itay G.
Available now, is the latest Crazy Shark from Artist Itay G, Crazy Sharks - Red. This is the fourth version of Crazy Sharks released by Itay G. Itay previously released Yellow, Pink and Light Blue versions of Crazy Shark, each with it's own features, giving them unique personalities. 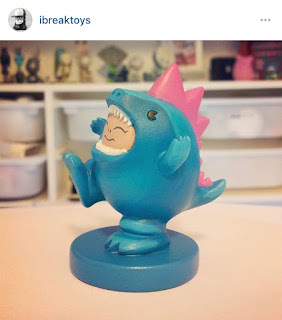 Priced at $55 shipped, each Crazy Shark stands at around 4" and is limited to only 10 pieces. Pick one up through Itay's online store. Mondo has continued to create an awesome line of Teenage Mutant Ninja Turtle Collectibles, with the latest addition to the line being Mouser. 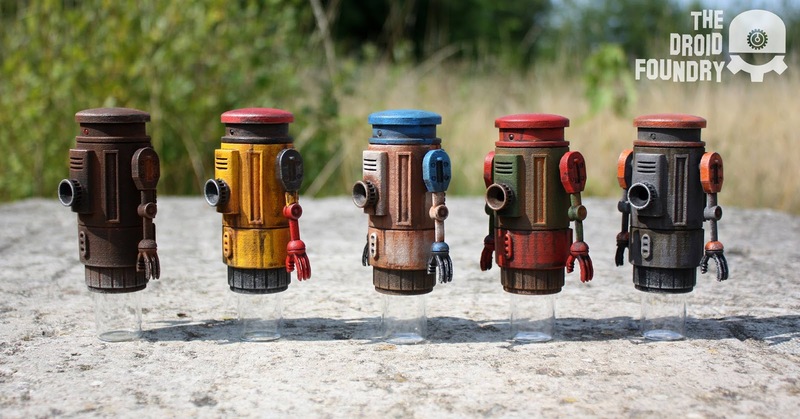 Mousers were originally introduced in the TNMT comics as an invention by the character Baxter Stockman. 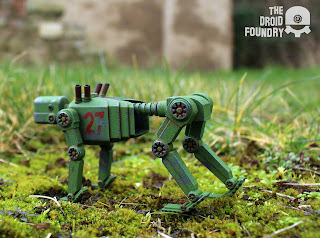 Mousers were created to combat the rat problem in New York city, however, Stockman plans to use them to eat away at the building foundations in NY. 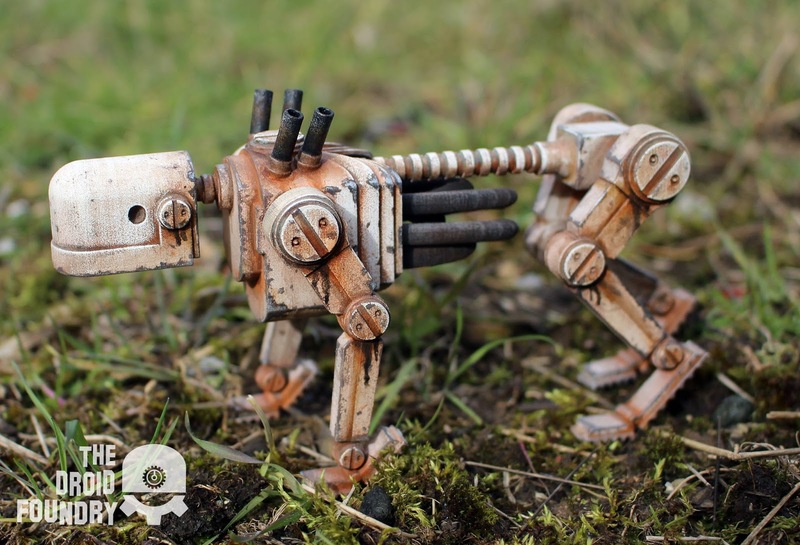 April O'Neal, Stockman's assistant, discovered his plan and was hunted by a horde of Mousers. Lucky for April, the famous four swooped in to save her, thus starting what would become a long relationship. 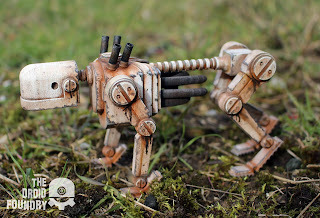 Back to the Mousers, Mondo has created 1/6 scale Mousers that sit 4" high and have 20 points of articulation. 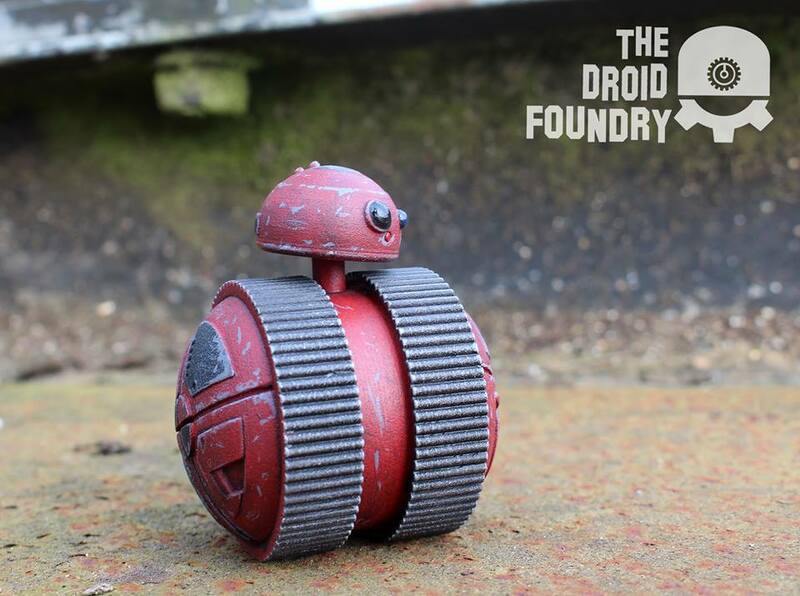 Available now, Mousers can be pre-ordered in 2 different versions, a regular and Mondo exclusive. 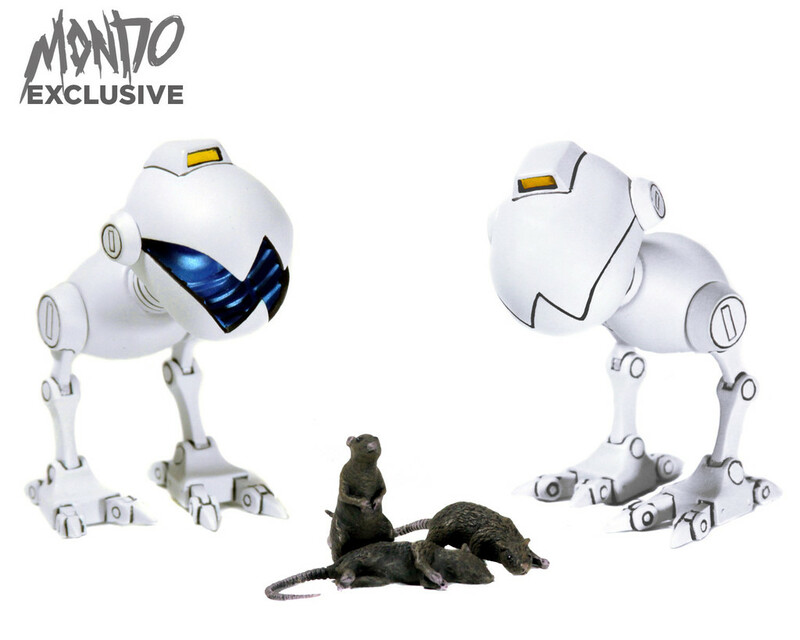 Both versions contain a 2 pack of Mousers, while the the Mondo Exclusive will come with 3 rats for the Mousers to munch on. 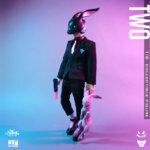 The Mondo Exclusive version is only going to be available for pre-order until Wednesday April 6th, while the regular version currently has no limit. 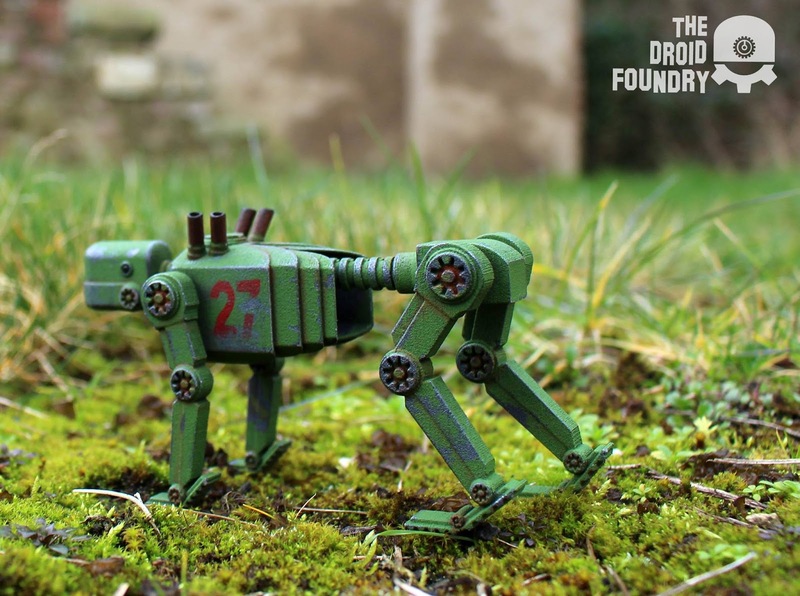 Each Mouser 2 pack is priced at only $50 plus shipping, while the limited Mondo Exclusive version is priced at $55 plus shipping. 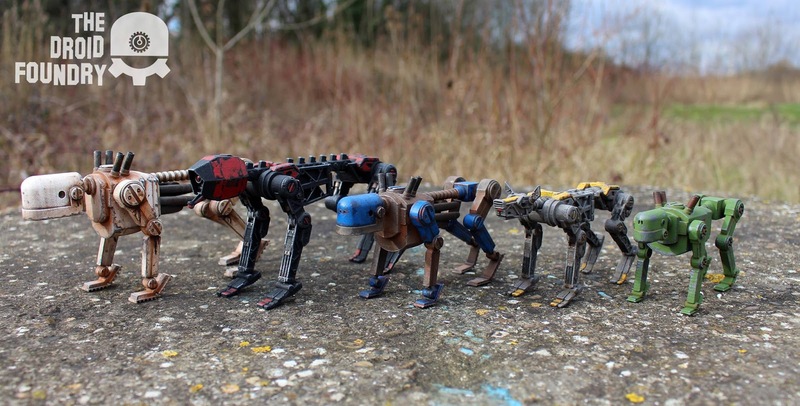 Head on over to Mondo's online store for more info and pictures and pick up some Mousers to go with the already released TMNT colletible figures. robots, we will have 3 releases to present to you at ToyConUK this year. groups, to complete bigger projects. together to build large shelter structures. types and enabling them to move very quickly should they need to. Their AI units are hardwired programmed for the specific role they have been intended for. 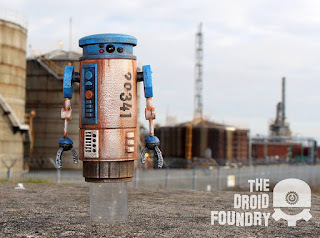 form and Droiddogs were the personal droid to be seen with. were assigned to search and rescue, survey, military, guarding roles. handful available on the stand.